Hi everyone today I just wanted to briefly talk to you about what to do when you’re bringing your home to the market and you get a building inspection done for the sake of making it available to purchases. Building inspectors advise that our owners do that just because it makes the whole process that much easier for purchasers to come in with cash unconditional offers but obviously there are some questions asked by our clients when the building inspection comes back in there are a few things. That are found the important thing to know is that every property will have its things so it’s not just your home even new properties when we get a building inspection done there’ll be some issues raised with that so the question Lynne has asked what do we do about the things. That are raised do we address them as the seller or do we leave them for the purchaser and obviously disclose these to them so it’s obviously a case-by-case scenario. 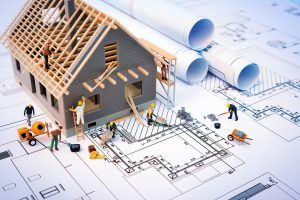 There are some things like big jobs such as Roose what I would suggest if your property needs to be reroute as an example is that you get a quote from one or two companies. So that Building inspectors can make this available to purchasers it makes them far more confident about what the cost will be involved in addressing that rather. Than them maybe creating some fictional figure which is quite possibly far greater than what it will be if you do decide to address some of the things on the building inspection. And maybe these are more minor issues either that you can do yourself or that someone can do quite cheaply for you what I would recommend is that you keep a log of everything that you have done and also the invoices from any companies that you’ve worked with. If Building inspectors can pass a building inspection onto a purchaser with a list of the items that you have addressed again that will just give them so much more confidence in terms of going forward with an offer on your property. If you have any questions about how best to approach either getting a building inspection done or what to do when you actually get the results of that building inspection any of the real estate agents at Loan code be more than happy to have a chat with you so feel free to give us a buzz speak to you next time.